Pioneer AVH-P6300BT navigation system installed on a 2005 BMW M3. The Pioneer AVH-P6300BT navigation system offers a bright 7″ touchscreen, built-in Bluetooth for hands-free calling, iPod control, MP3, DVD and CD playback. 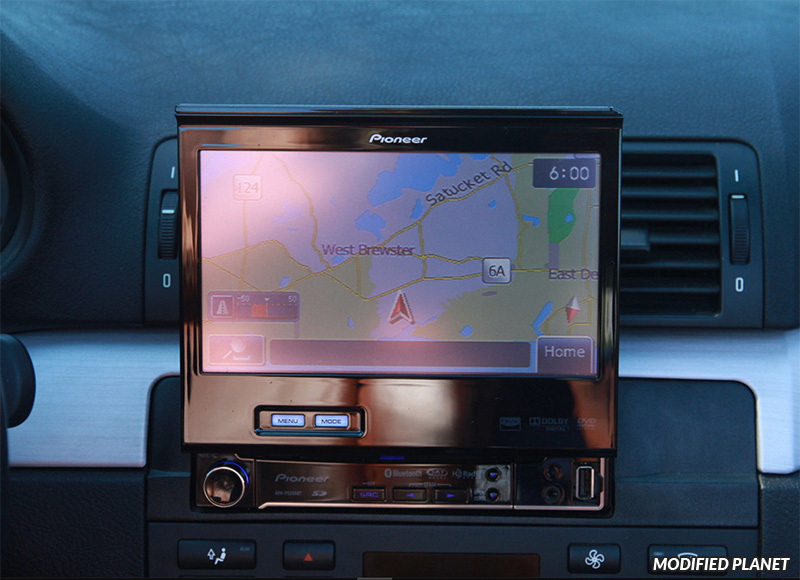 The Pioneer AVH-P6300BT is a great navigation system option for any modified 2005 BMW M3. 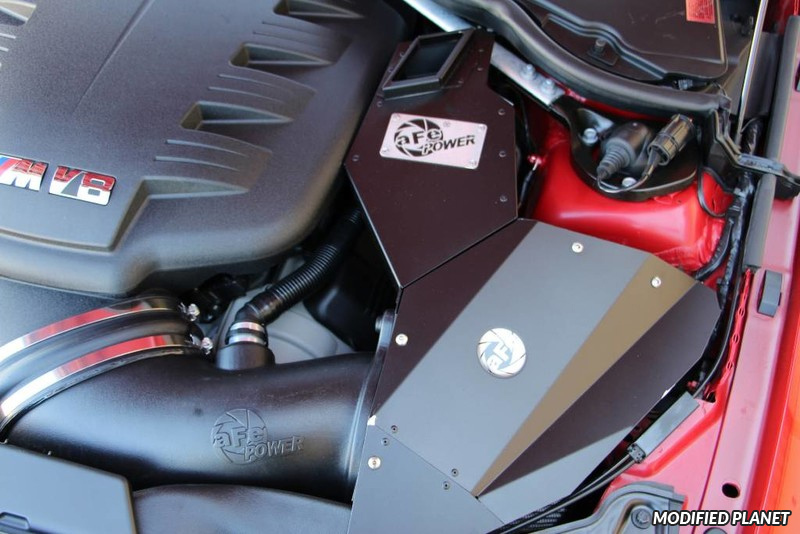 Modified 2008 BMW M3 engine bay featuring an aFe Power Magnum Force Elite Stage 2 Pro 5R cold air air intake system. The aFe Power Magnum Force Elite Stage 2 Pro 5R coldl air air intake is fully fabricated black anodized 6061 aluminum for light weight and maximum flow. 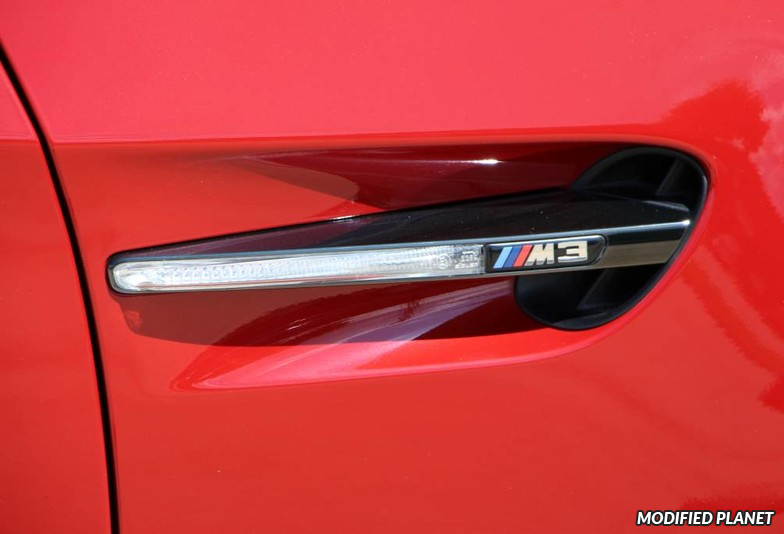 This cold air air intake also offers the 2008 BMW M3 a lower intake temperature than stock, an increase of 15 horsepower and an increase of 13 lbs of torque. 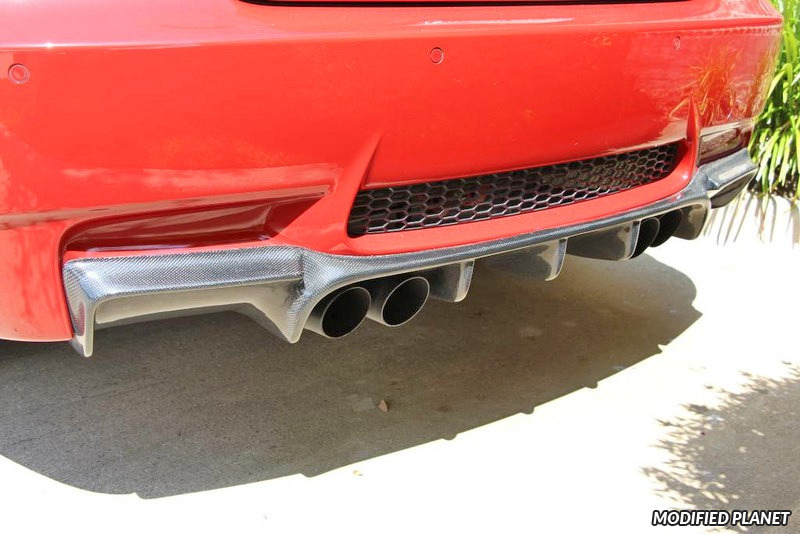 Vorsteiner GTS-V Carbon Fiber rear diffuser installed on a modified 2008 BMW M3 with Melbourne Red paint. The Vorsteiner GTS-V Carbon Fiber rear diffuser is made of lightweight 1×1 carbon fiber weave, 4 Stage UV inhibiting clear lacquer coating, bolts on with no modification and provides functional elegance to any 2008 BMW M3. 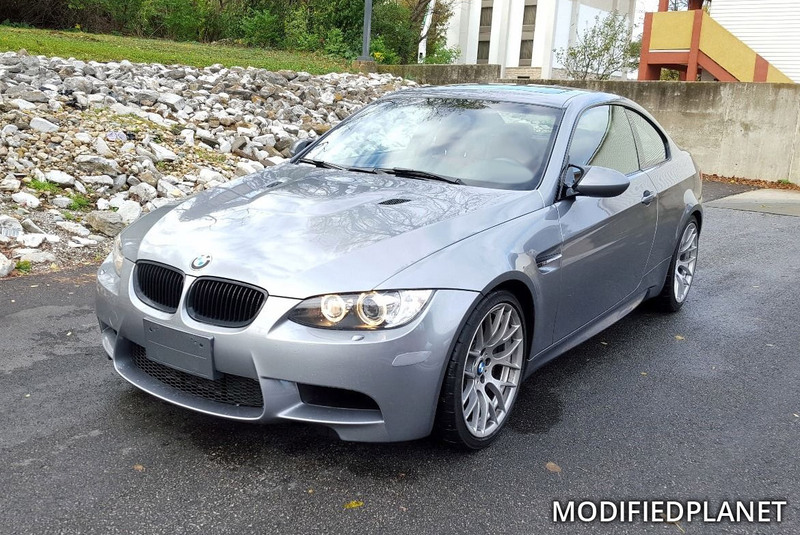 Painted front bumper reflectors on a modified 2011 BMW M3 coupe featuring a space gray exterior paint. 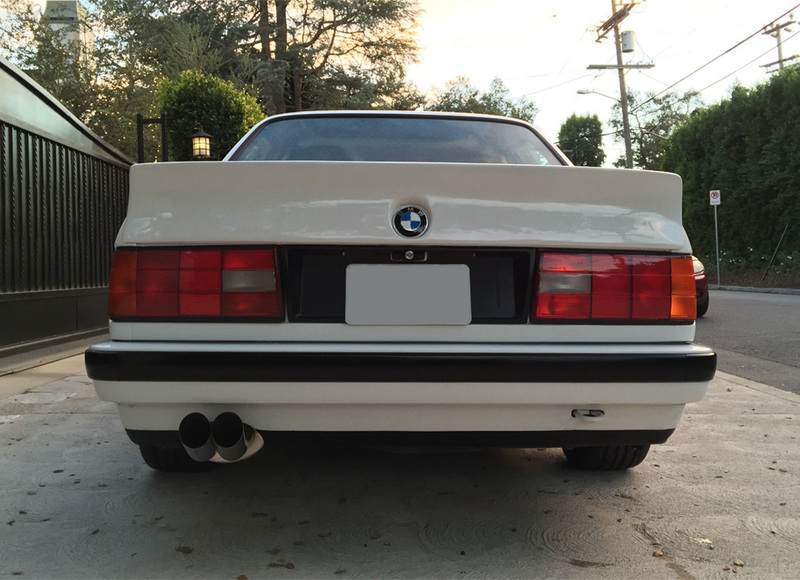 Stainless Steel DTM muffler installed on a modified 1991 BMW 318is. 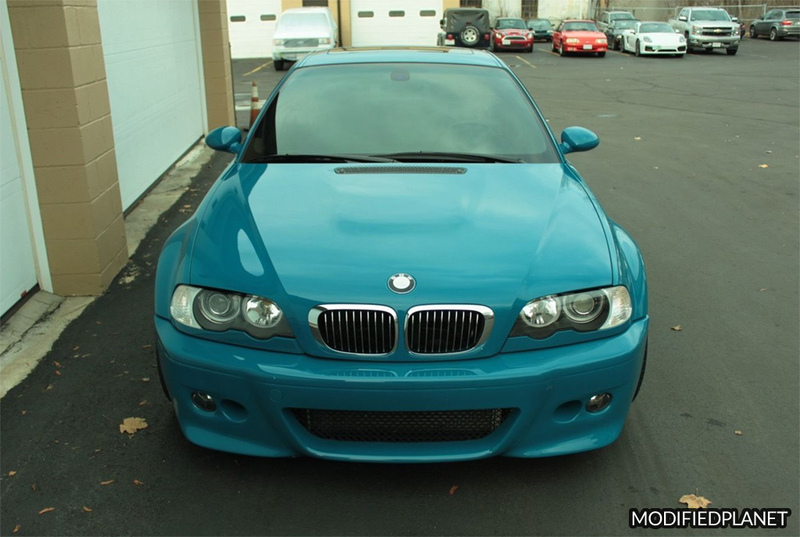 Evosport Euro front bumper installed on a a modified 2001 BMW M3 in Leguna Seca Blue. 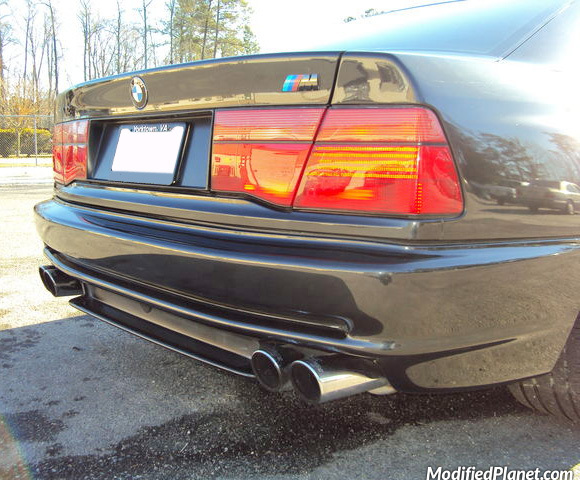 Modified 1991 BMW 850i featuring a Supersprint Magnum stainless steel catback exhaust system.